Gorgeous villa. Home from home in amazing location. Villa Alantha is a luxurious, detached villa situated in the area of Mikro Vathy, a 7 minute drive from the town of Agios Nikolaos. 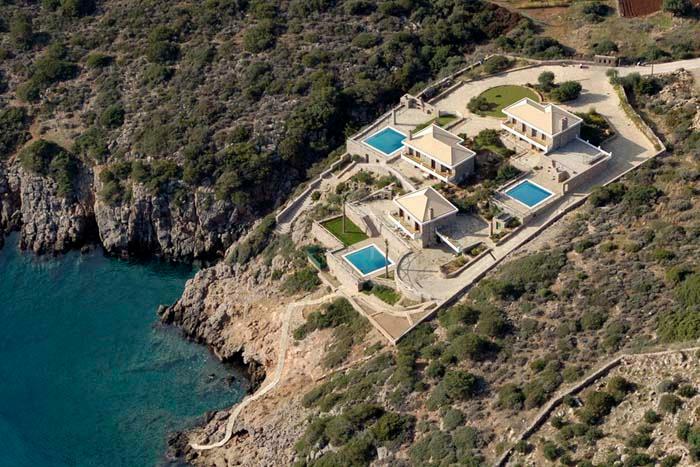 It is built on a small hill 20m above the sea level and offers the most amazing views of the Mirabello gulf, the rocky landscape and the mountains. The villa has 3 spacious bedrooms, beautifully decorated living areas, all the necessary amenities, a private swimming pool and furnished verandas. It ensures peace and tranquility for its guests whereas it is only a few steps away from the sea and close to some of the most amazing sandy beaches and the cosmopolitan and lively town of Ag. Nikolaos. The main entrance leads to the living room which has a fireplace, comfortable couches and Satellite TV and the dining area with a big monastery table. 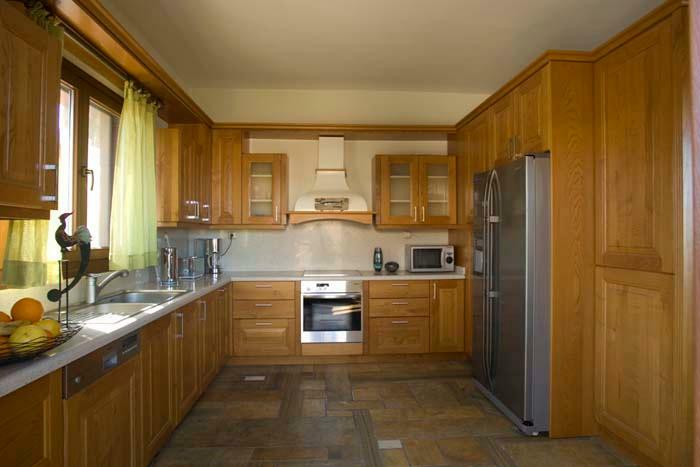 On the same level there is a fully equipped, spacious kitchen, a WC and a store room. Large windows allow uninterrupted views of the Mirabello gulf and the mountains whereas glass doors lead to the terrace and pool area. A wooden staircase leads up to the first floor where the three bedrooms are. The first one has a double bed and en suite bathroom with a tub and the other two (a double and a twin) share a bathroom with a shower. 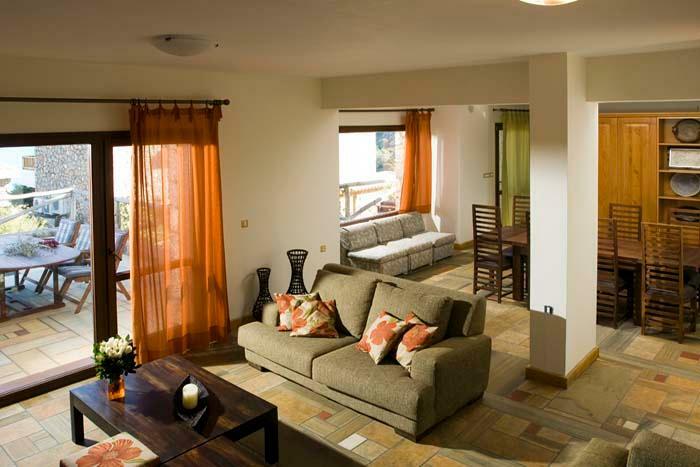 All bedrooms have access to a balcony that overlooks the pool area and offer amazing views of the sea. The outdoor area of the villa is absolutely wonderful. Glass doors from the living room lead to the spacious verandas and the swimming pool that overlooks the sea. Right next to the pool you will find comfortable sun beds and a shady area, under a pergola, to cool down when the sun is just too hot for you.A big wooden, outdoor dining table awaits you to enjoy lunch or dinner whereas a BBQ and a traditional stone oven are available for the guests to use. Flowers and trees add some greenery to the environment and the deep blue of the sea in front. A stone path and stairs lead you down to the sea where you can dive and enjoy a swim in the crystal, clear waters. Baby cot and high chair (on request) Security system Housekeeping Towels/ bed linen Private pool ( 40 sqm ) with whirlpool Sun beds Pergola Outdoor dining table BBQ Parking space Balconies and terraces Additional amenities include: 1 bathroom with a shower, laundry machine, 1 twin bedroom, iron and ironing board, 1 wc fully equipped kitchen (fridge, freezer, oven, dishwasher, microwave, toaster, coffee machine, kettle, kitchen utensils), 1 double bedroom, interior area 150sqm, 1 double bedroom en suite with a bathtub.